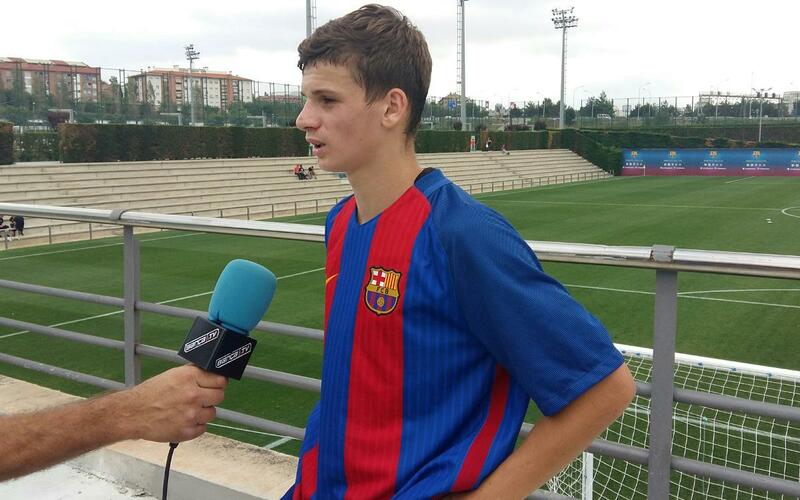 FC Barcelona has another full international after sixteen year-old Labinot Kabashi of the U19 B team was called up to the Kosovo national squad for World Cup qualifiers against Croatia (October 6) and Ukraine (October 9). Born on 28 February 2000 in Skënderaj, a town in the north of the country that is competing on the world football stage for the first time as an independent state, Kabashi was both staggered but immensely proud to learn that national manager Albert Bunjaki was including him in his team. “I’m really proud to be able to play for Kosovo” said the youngster, who headed for the airport shortly after helping his club side to victory against Jupiter, scoring the equaliser in what would eventually be a 3-2 win for the Blaugrana. Kosovo started their qualifying campaign in impressive fashion, drawing 1-1 away to Finland in their first ever competitive fixture.